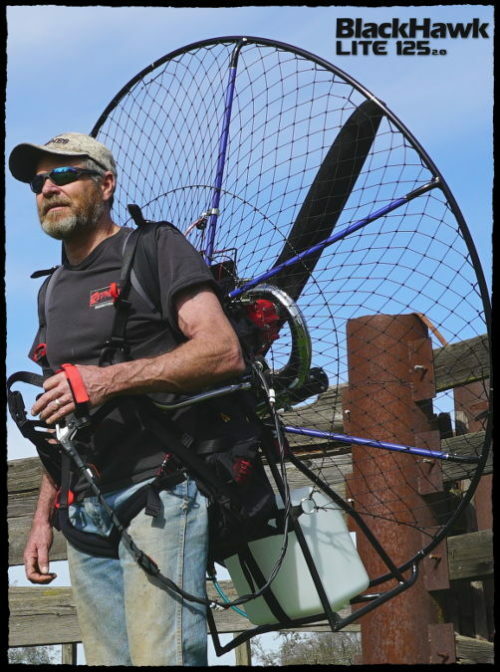 Welcome to the next-generation of Powered Paragliding. 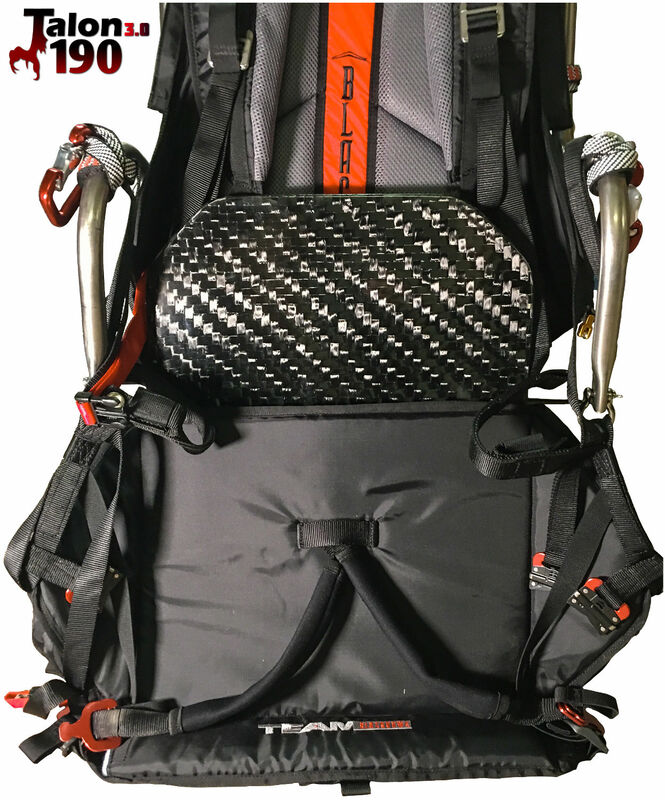 The ALL NEW “Talon 3.0” 190 Paramotor is the most powerful, durable, & cool-running motor in its class on the market today. 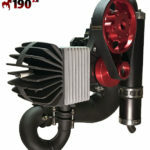 In fact, it runs an average of 40* cooler than any competitor’s air-cooled motor! 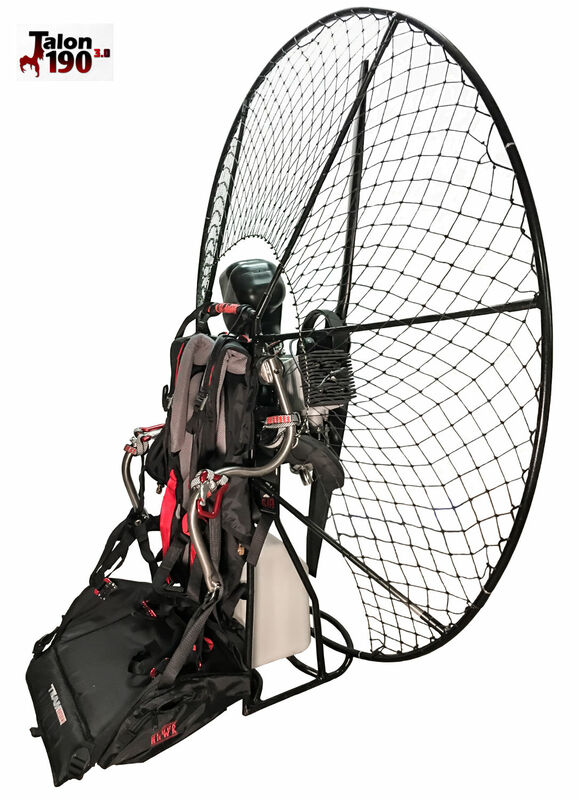 This is a complete game changer for XC Pilots, bigger Pilots, or Acro Pilots who want to get up to altitude fast – without the heat concerns of older-generation motors! 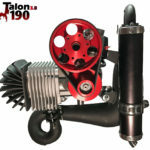 Want to Learn More About The Talon 190? IMPORTANT 190 MAINTENANCE NOTES: Torque for cylinder head is 185 INCH lbs. Torque for prop is 110 INCH lbs. Bolts holding the exhaust should be torqued just enough to lightly compress the springs. Questions? CLICK HERE TO CONTACT US. 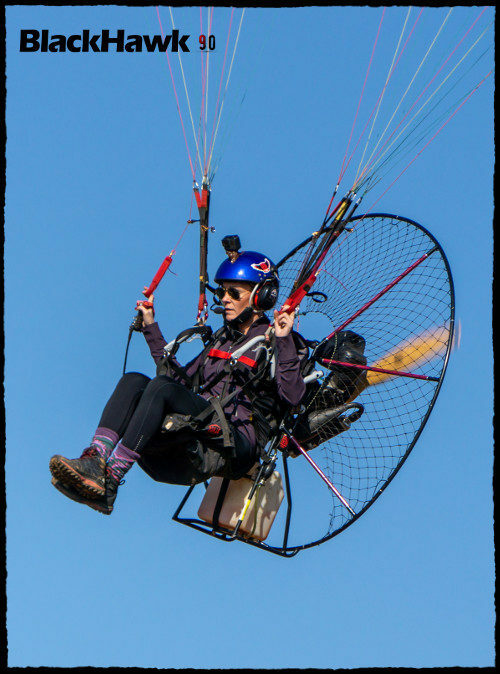 Welcome to the next-generation of Powered Paragliding. 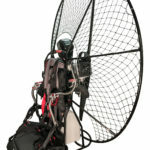 The NEW “Talon 3.0” 190 Paramotor is the most powerful, durable, & cool-running motor in its class. 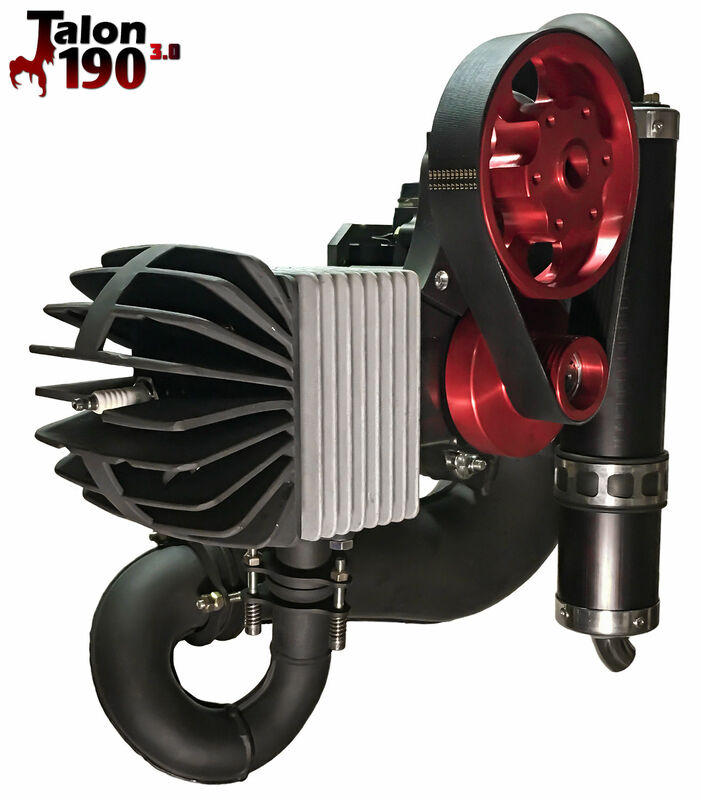 In fact, it runs an average of 40* cooler than any competitor’s air-cooled motor! 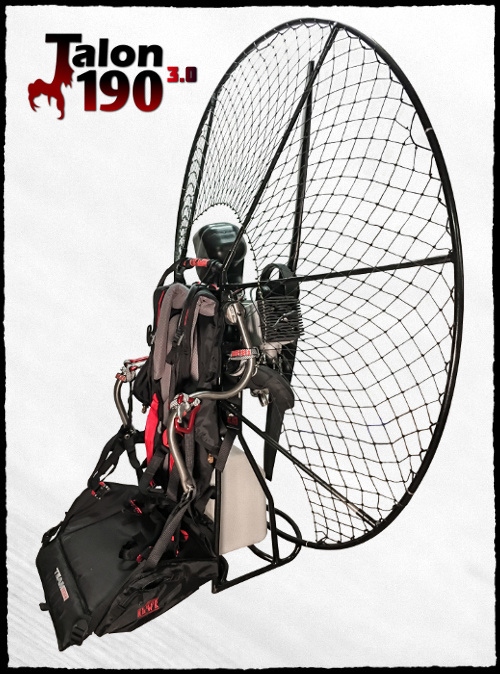 This is a complete game changer for XC enthusiast, bigger Pilots, or Acro Pilots who want to get up to altitude fast – without the heat concerns of older-generation motors. 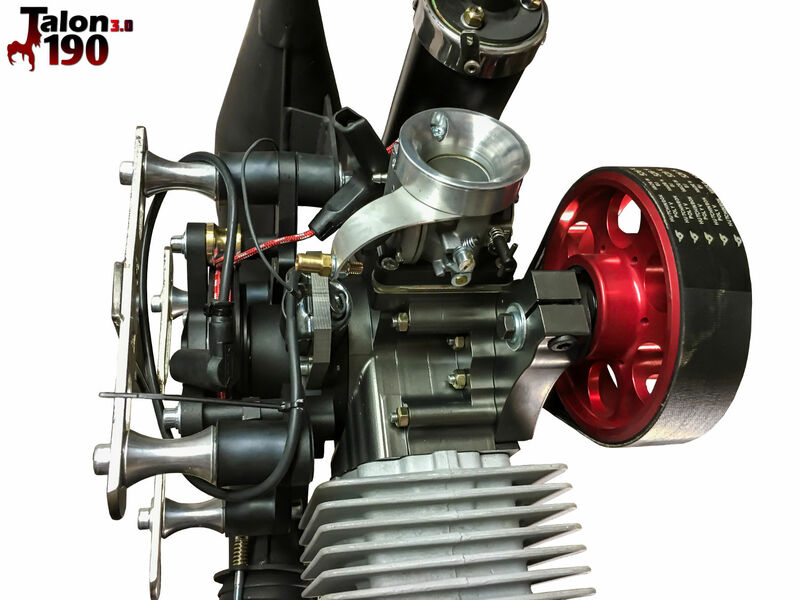 As you probably know, heat is the primary factor affecting the longevity of any 2-stroke motor. 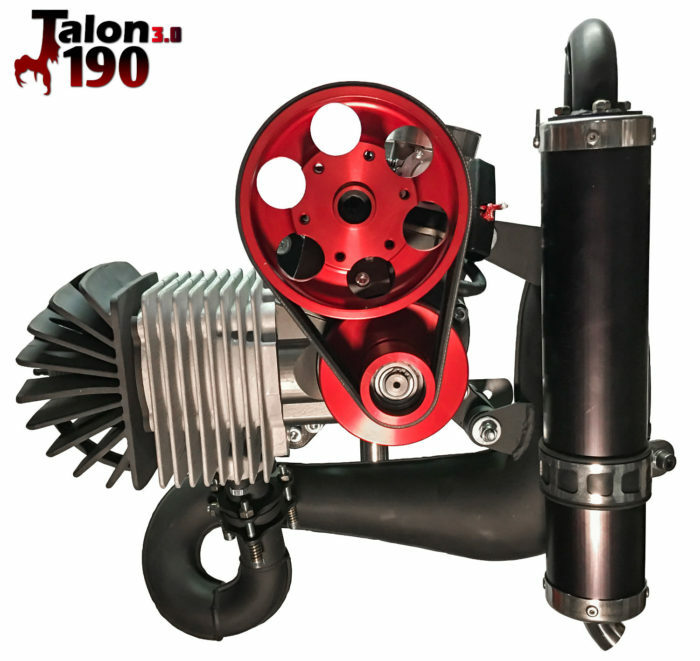 The new Talon 190 was designed with longer cooling fins that are tapered (thicker at the bottom near the engine, and thinner at the tips) for optimal cooling efficiency. The design and specific placement of the fins draws heat away from the hottest part of the engine (the combustion chamber). In addition, the Talon’s cylinder head configuration also allows the engine to cool down at a much faster rate after a hard climb-out. 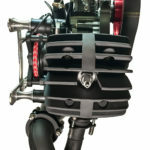 The cylinder is also ported for optimal RPM management and a top end that produces more power than any engine of its size. This new motor is belt-driven WITH a centrifugal clutch, and features BlackHawk’s newly-designed “Easy Pull-Start” mechanism. We’ve also added a new double-jointed exhaust to ease vibration and eliminate cracking! With the smoothest transition of power we’ve seen in a Talon, the 3.0 runs like an electric PPG – and sounds like a 4-stroke! This is the byproduct of over a decade of research, design, and feedback from some of the best Pilots in the Sport. 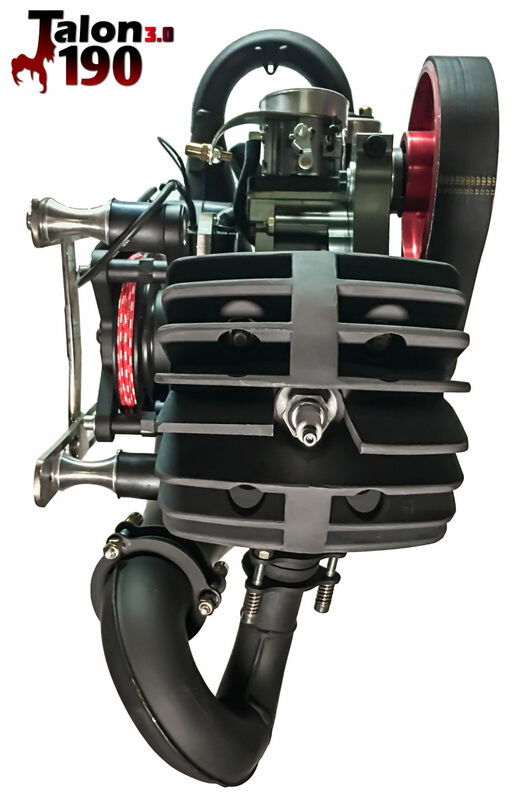 Like all BlackHawk engines (with exception of the cylinder), the Talon 190 is CNC’d from solid billet aluminum – making it 6X stronger than standard “cast” motors. 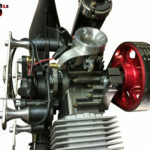 This new motor pairs up perfectly with our 30lb Lite-Trike for Pilots who want to add wheels to their Paramotor. Weighing in at 54 lbs and blasting out approximately 170-190 lbs of thrust, you won’t find a better “power-to-weight ratio” in the sport! 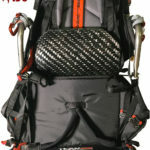 If you are looking for extreme performance & durability, then look no further. 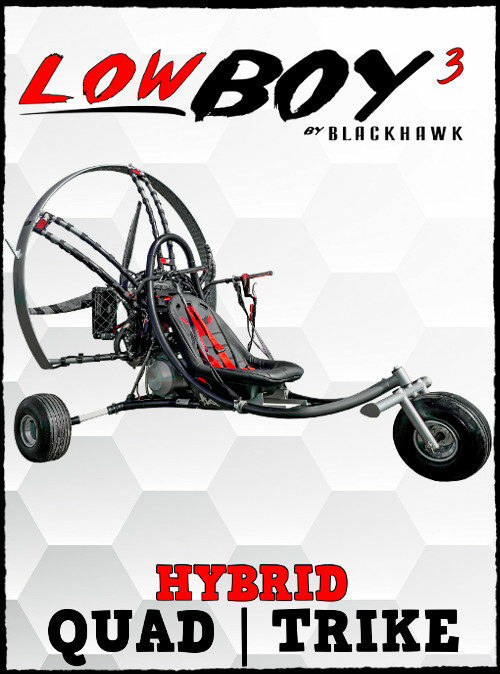 The NEW Talon 3.0 190 from BlackHawk is here!